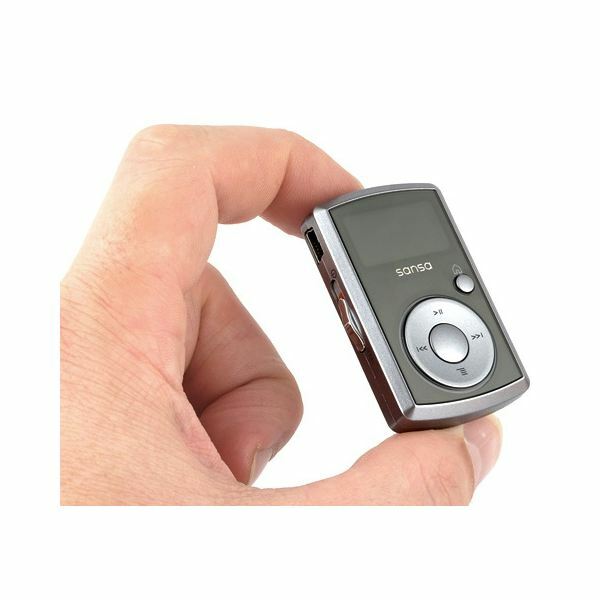 The SanDisk Sansa Clip portable MP3 player is an efficient little unit that allows compact transportation and browsing of audio and video files. However, it's not unheard of for the player to experience syncing issues: problems where the player refuses to "talk to" the computer containing your media files. Unless you're able to sync the player, moving files to and from the Clip's internal memory becomes a difficult task. Here are some troubleshooting steps you can take if your Sansa Clip won't sync – including a few tips not covered in the device's manual. If your Sansa Clip won't sync, the first thing you should do is a quick examination of the physical exterior of the player and USB cable. Sometimes small pieces of lint or debris from your pocket or handbag can become trapped in the USB socket, which prevent the player from connecting to your computer or syncing data. If you find any such foreign objects, gently fish them out with a clean toothbrush then reconnect the player. 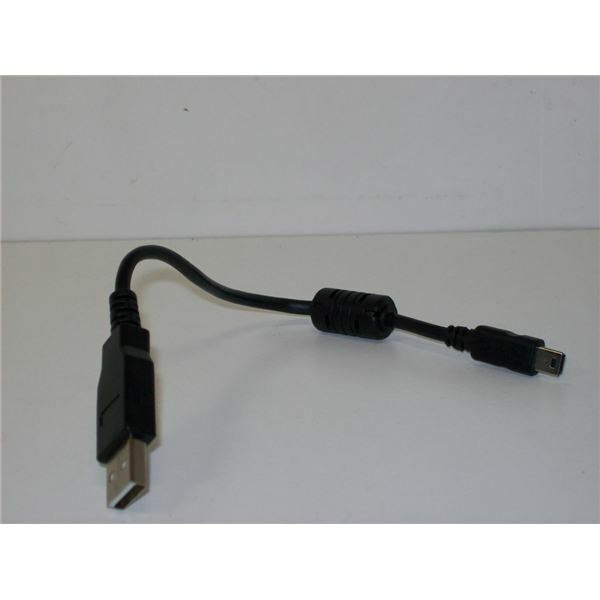 The other component that can become physically damaged is the USB cable. If the cable is frayed or exposed along any part of its length, which happens particularly around the plug ends of the cord, syncing may not be possible. Fortunately the Sansa Clip doesn't use a proprietary USB plug design like other players such as the iPod: if your USB cable is damaged, a new one can be purchased from a camera store or electronics retailer. Just take the old one in and show the staff what you are looking for. With the physical exterior of the Sansa Clip checked, it's time to move on to potential software problems with the player. If your Sansa Clip won't sync, the most likely software problem is outdated, accidentally deleted or corrupt driver software. This can sometimes happen when you update your computer's operating system, but it's easily fixed. 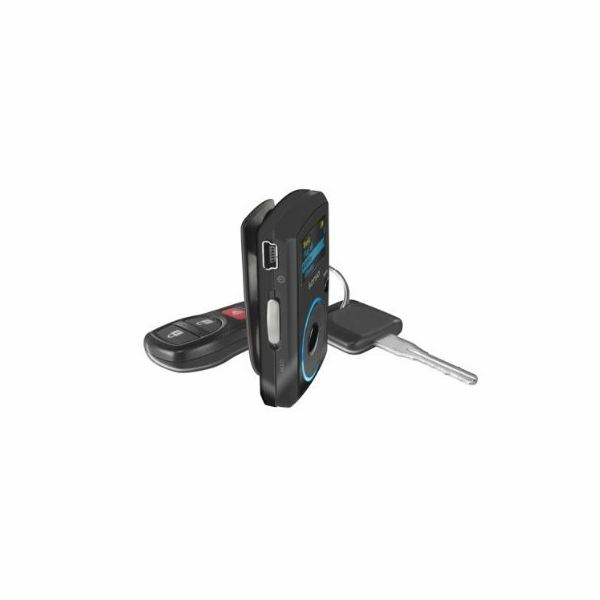 Go to the website for the SanDisk Driver Download Wizard. Select "Sansa" in the "Product Type" menu and choose your operating system, then click "Find Driver." Check the box beside the description that best fits your player and click "Continue," then choose "Download." When the file has been saved to your computer, double-click it to install the new driver. Don't plug in your Sansa Clip until the progress bar indicates your driver has been fully updated. The other software that may need to be updated is that of your player itself. This is called firmware. To update it, go to the website for the Sansa Firmware Updater. 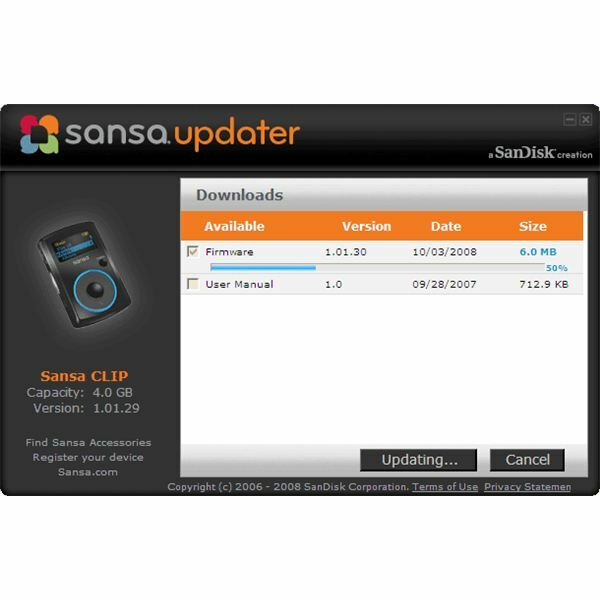 Click "Download Sansa Firmware Updater" and wait for the file to download. When it has done so, double-click the file to install the updater, then connect your Clip to the USB port of your computer. Your computer will tell you if the firmware needs to be updated or corrected. Check "Firmware" and click "Download" to update the firmware. It's very important not to disconnect your player while this operation is taking place. A pop-up will let you know when it's safe to disconnect your player.